Three Singaporeans of Indian origin are listed among the top 40 rich businesspersons of the city state in a list published by Forbes Asia. Singapore's 40 richest are now collectively worth $54.4 billion, up by $8.7 billion, or 19 per cent, compared to last year, according to the list released on Thursday. 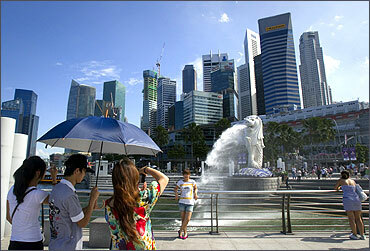 Image: Merlion, the mascot of Singapore, and the financial district skyline. 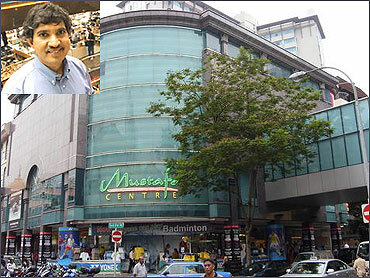 Mustaq Ahmad, who runs the grocery-to-gold Mustafa Centre retail complex in Singapore's Little India shopping precinct, was worth $240 million and ranked 37th in the list. Sixty-year-old Mustaq, who is married with four children, is the owner of the 350,000-square foot Mustafa Centre, which operates 24 hours, offering 250,000 products. The centre draws bargain-hunting tourists from India, said Forbes. Mustaq, a native from India whose father started selling food on a pushcart here, opened his first garment store in 1971 in a 500-square foot shop in Singapore. Sunny George Verghese, worth $210 million, was ranked 40 on the list. The 51-year-old Verghese, married with two children, runs Olam International, a global agricultural business under the aegis of the Kewalram Chanrai Group of Singapore. 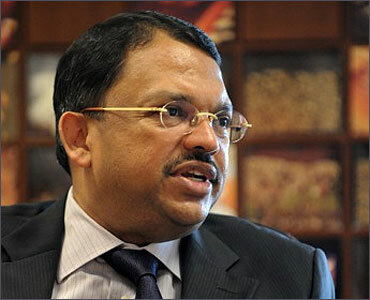 Vivian Chandran, worth $238 million, was ranked 38th on the list. Her husband, Robert Chandran, who died in a helicopter crash in 2008 in Indonesia, left her and their two daughters the fortune from a marine fuel business, Chemoil. Last year, they sold the Chemoil stake to commodities firm Glencore. 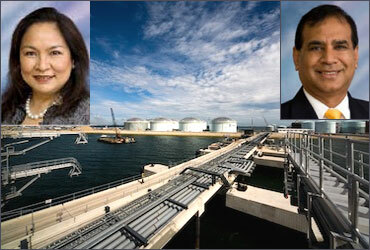 Image: Inset: Vivian Chandran (L) and Robert Chandran. Topping the list was the family of the late Ng Teng Fong, which remains at the top with $8.9 billion, up by $1.1 billion from last year. Their fortune comes from private property groups, Far East Organisation in Singapore and Hong Kong-listed Tsim Sha Tsui Properties. 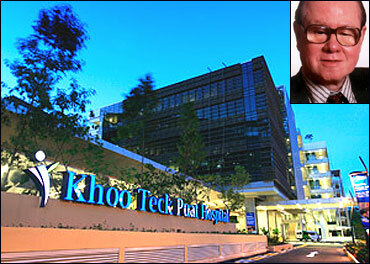 The family of deceased tycoon Khoo Teck Puat was listed at No 2, with $6.7 billion, up by $800 million from last year. They retain a stake in the Goodwood Group of Hotels. In 2006, they sold their stake in Standard Chartered Bank for an estimated $4 billion to Temasek, Singapore's state investment company. Image: Inset: Khoo Teck Puat. Veteran banker Wee Cho Yaw was ranked third with a fortune of $4.2 billion, an increase of $600 million vis-a-vis last year. 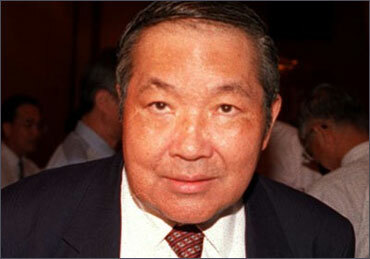 He chairs United Overseas Bank, founded by his late father. Wee took over and ran it for over three decades until 2007. 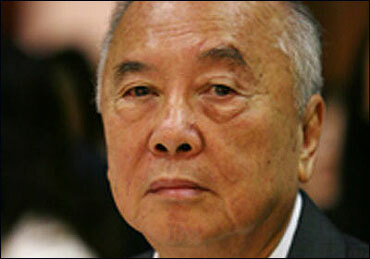 His fortune includes privately held property firm Kheng Leong. There are 13 billionaires on this year's list, compared to 11 last year, said Forbes. Will Kashmir see an Egypt-like uprising?